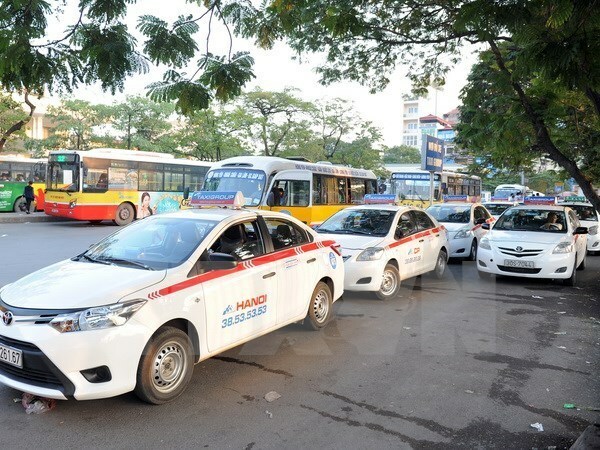 Hanoi (VNA) - All taxis in Hanoi may have to be painted the same colour and have their operation areas registered from 2025, if the municipal Department of Transport’s current draft policy gets the nod. The department has invited comments on its draft policy from relevant agencies, policymakers and individuals to better manage taxi operations in the city in the future. If the proposal goes through, taxi firms will be allowed to only pick up and drop passengers in their registered zones. The draft also recommends that taxis have an expiry date eight years after its manufacturing date. For more information on the draft proposal, you can log on to the transport department website sogtvt.hanoi.gov.vn. People can also email their comments to nguyentuanhoang_sogtvt@hanoi.gov.vn.